Every year, when the holiday season rolls in you are left to try to figure out some awesome gift ideas. But, what happens when awesome just won’t cut it? 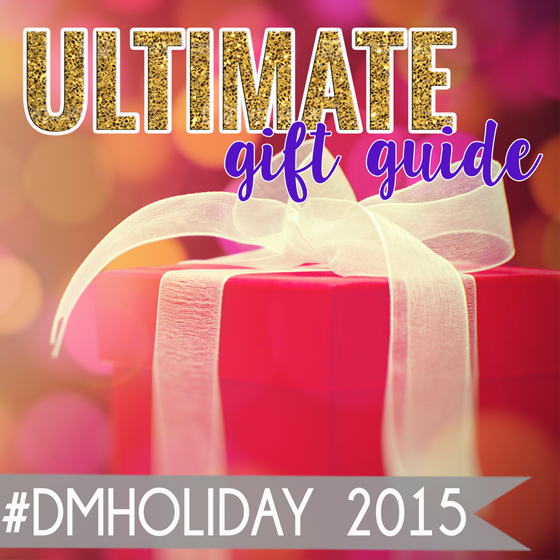 If the person on your list is worthy of a gift to end all gifts then it’s an “Ultimate Gift” that you are looking for. Well, if that is the case you are in the right place. 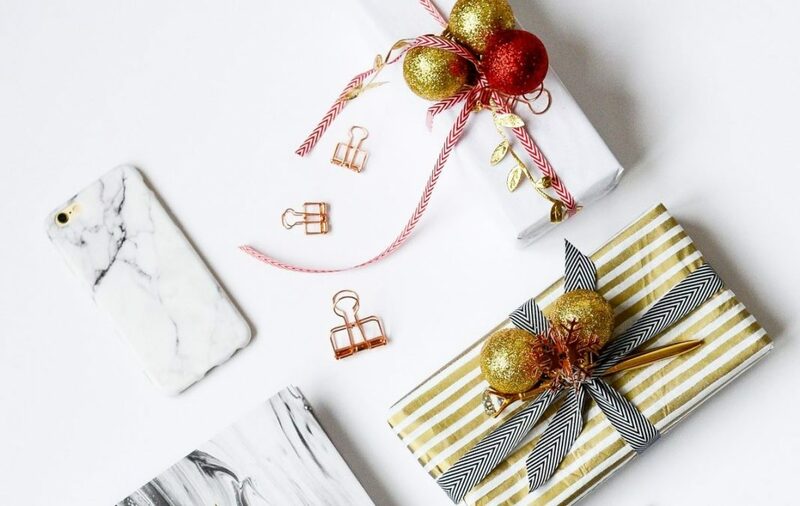 Ultimate gifts aren’t about price tags, but rather they are about choosing a gift that will be treasured and used for years to come. If you think about the Netherlands, you think about bikes and tulips, right? In the beginning of the 19th century the bicycle became an acceptable, reliable and solid means of transportation for both workers and middle class people. To this day, the Dutch bike (and child bike seat!) is a normal part of everyday life. Tasks such as bringing the kids to school, going to work, doing the grocery shopping or meeting friends is all just easier by bike. The Dutch are quite practical that way. Gazelle was started by a man with a vision in 1892, and today, Gazelle is not only the oldest bicycle brand in the Netherlands, it is perceived as the most trusted one in all of Europe and is still at the forefront of innovation. With their 100th anniversary, Gazelle received the royal endowment: Royal Dutch Gazelle. Today, Gazelle manufactures 300,000 bikes each year, and is the market leader in the Netherlands. At Gazelle, quality comes first. Yepp has redefined the world of child bicycle seats by showing that safety, ease of use, comfort and design can go hand-in-hand. And, since safety is always top-of mind, you can rest assured that each Yepp child bike seat is compliant with the most stringent European safety requirements and American ASTM standards. These award-winning child bicycle seats are designed and imported from the Netherlands, the world’s leader in cycle safety and bike-friendly fashion accessories. 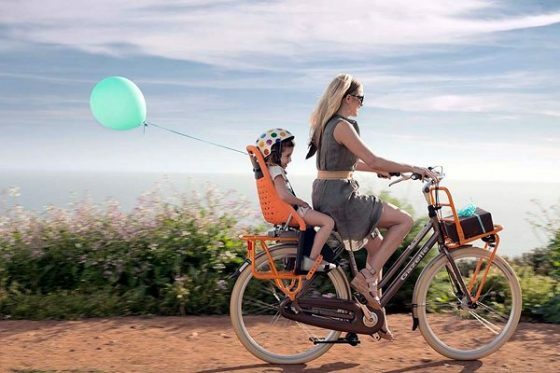 When the founder of Aika Trading moved to the United States in 2008 from the Netherlands, she was shocked at how much attention her Dutch-made bike received, particularly when she had a front and back seat attached, making it the quintessential “mom-bike”. Team AIKA has developed over the years into a successful importer and distributor of high quality European designed bicycling products, and recently opened their own retail location in Santa Monica. Aika Trading strives to bring you the best products and the best service! 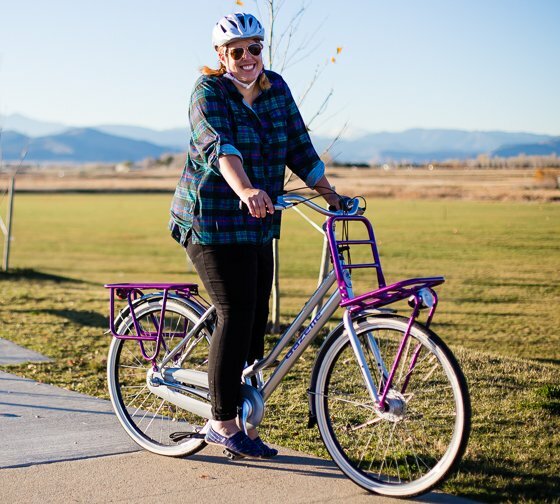 The Gazelle Heavy Duty NL is the ultimate mom-bike, and is 100% urban, with a solid front and rear carrier rack- perfect for a stylish basket, or a couple child seats. 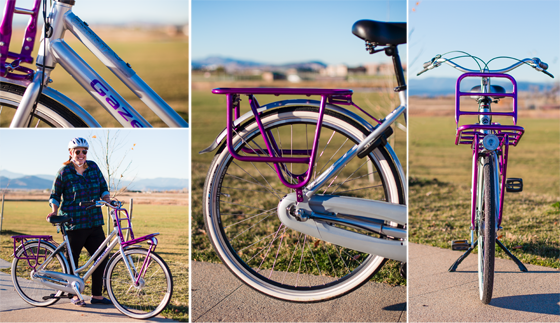 The rear rack even features the Yepp maxi easyfit window. It’s extremely comfortable thanks to the deluxe Selle Royal Gipsy saddle, combined with smooth-running 50 mm tires. It features a two leg kickstand for stable parking with a convenient handlebar lock. You can brake safely with the Shimano low maintenance roller brake system. It even offers maximum protection against theft thanks to the sturdy (built-in!) AXA security lock. 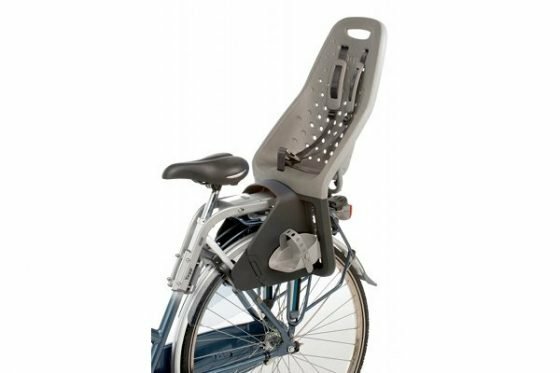 The Yepp Maxi is a light and easy-to-use rear child bicycle seat that is designed to carry children from approximately 1.5 years to 6 years of age (up to 48 lbs). It combines the ultimate cycling stability with comfort and safety by mounting easily behind the bike’s saddle, providing a smooth ride for your little one. 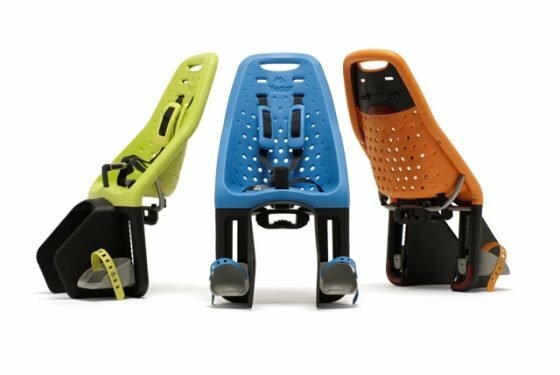 Unlike many other child bike seats on the market, a Yepp child bike seat is molded from an innovative and sturdy, yet flexible, rubber that absorbs shock and vibration from a bicycle ride, making for a smoother, more enjoyable ride for your child. In addition, they’re very easy to use and lightweight, waterproof, antimicrobial, and easy to clean for parents with young children. 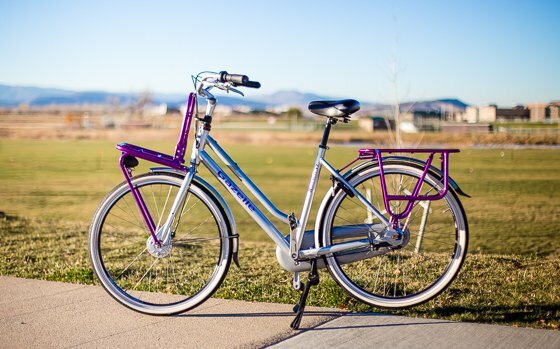 Whether you are heading to a play-date at the park, or a trip to the local farmer’s market, the Yepp Maxi teamed with the Gazelle bike gives you the ultimate mom bike for the best possible bonding experience for mother and child. 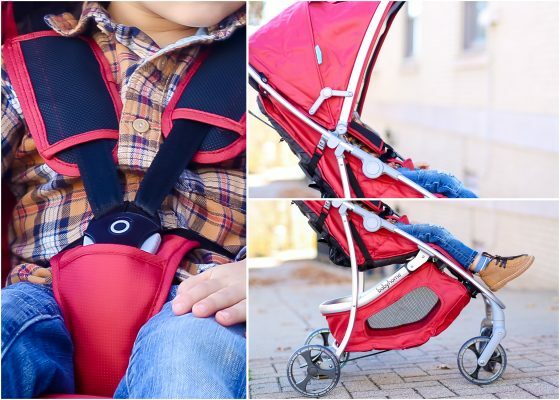 The Gazelle Heavy Duty NL paired with the Yepp Maxi is the ultimate Christmas gift for the outdoor-loving mom and child combo. Instead of strapping your child into their carseat for a boring ride to the grocery store, you can explore the outdoors, reduce carbon emissions, and get some exercise all in one small act: taking your bike with child seat out for a spin. The Gazelle is perfect for moms or dads that love to pack up and explore the city on two wheels, and the Yepp Maxi is the perfect seat to take your child along for the ride. Buying a new rug is fun and exciting, but oftentimes it can be more overwhelming, stressful, and costly than necessary. 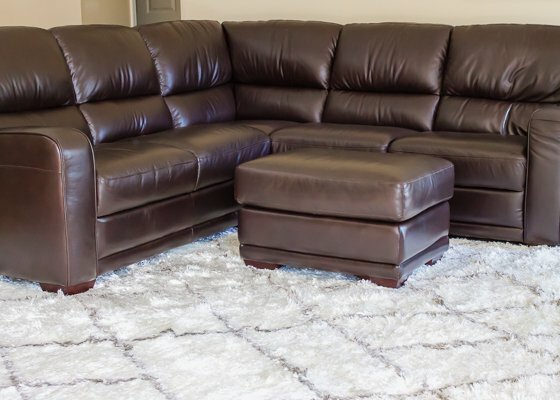 RugsUSA.com helps you through the rug buying process by not only providing their customers with the lowest prices out there, but by assuring that there is no middle man in the process; you deal directly with RugsUSA.com as your product comes straight from their factory to you. 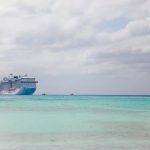 By operating the way they do, they are able to provide their customers with high-quality rugs at wholesale prices; half the price for the exact same rug you would find elsewhere. By focusing on quality, low-price commitments, and customer service, they have been a leader in the rug retail industry since 1998. The Smooth Shag Netted Lattice Rug from RugsUSA.com will look stunning wrapped up under the Christmas tree, or even laid out on the living room floor (in its rightful place) with a huge bow on top! This modern, deep shag rug is the perfect neutral piece to ground any living space. The dark brown geometric lattice pattern design on top of a pure white background is on trend this year, and is showing up in popular home decor magazines and blogs everywhere. This rug is a bit unique in that it boasts a slight iridescent sheen, making for an even brighter statement. 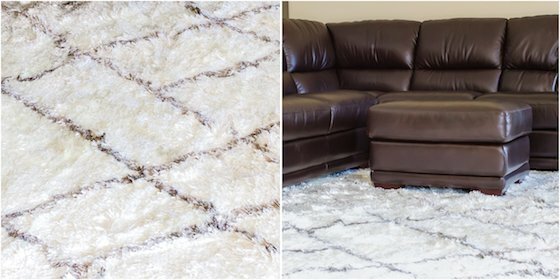 We bet a rug isn’t usually a top item on most Christmas lists, but for the person who redecorates their home every quarter, the person who spends all their free time in Home Goods, the person who just bought a new house, or the person who loves gifting themselves, this rug is the ultimate Christmas gift! Tribest is a revolutionary company in the kitchen goods arena that’s been around since the late 1980s, creating renowned, top of the line products that will help you eat healthier and increase your overall wellness. Their goal is to make healthy living truly easy, and that’s exactly what their products will help you do. 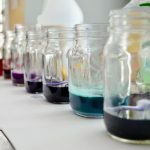 Tribest is an incredible, trustworthy company to buy from – they truly stand behind each and every product they sell and back their products with amazing customer service. Whether you’re new to the world of juicing, or you’re a seasoned pro, the Tribest Slowstar SW-2000-B Vertical Slow Juicer & Mincer will blow you away. 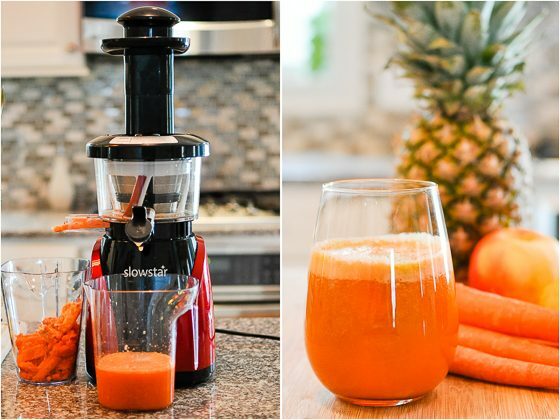 This is truly one of the very best juicers we have ever tried! 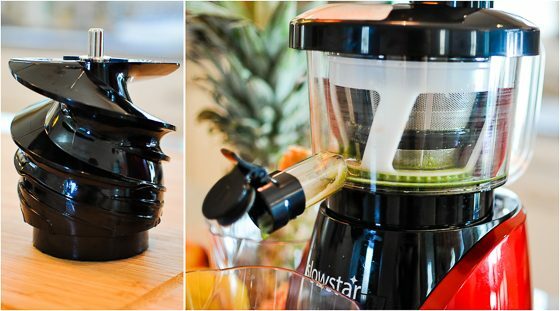 While many juicers have high horsepower, and juice at a high RPM, the Slowstar Vertical Juicer is a slow juicer (at 47 RPM), which helps lessen oxidation of your fruits and vegetables and preserves enzymes, which means your body absorbs more nutrition. Each Slowstar Juicer also comes with a mincing attachment, which means you’ll have the ability to make your own nut butters, pates, and sorbets. On top of all that, this juicer is easy to clean and backed by Tribest’s remarkable 10-year warranty. Start the new year off with a healthy kick with the Tribest Slowstar SW-2000-B Vertical Juicer & Mincer – we promise you will not regret it! 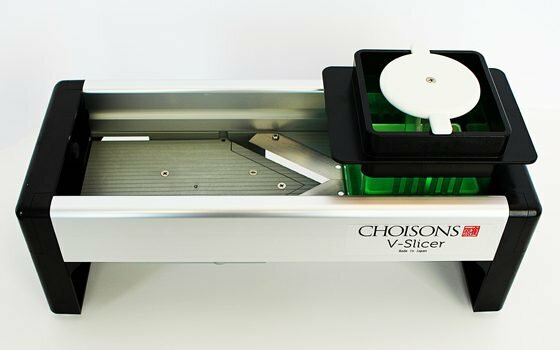 The Tribest Choisons V-Slicer is a superior V-Slicer to others on the market. The forged stainless steel blade mirrors the sharpness of a Santoku knife, and the blade’s adjustability means that uniform, thick or thin slicing will be swift and easy. Rather than a straight blade, the V-shape blade helps center and slice through the produce with a better cut. Its upright, flat position means even movement only across a horizontal direction, rather than an angled downward motion like most mandolines which can lead to slippage or collapse of the supporting legs. One of the biggest concerns with mandolines is fingertip safety. 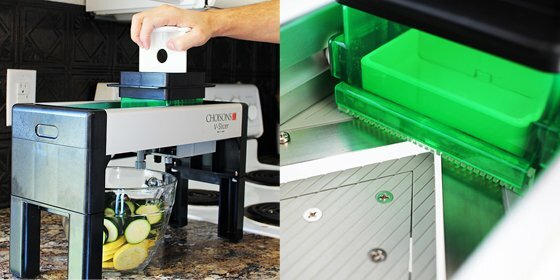 The Tribest Choisons V-Slicer was designed with safety in mind. Two safety features: the chute box finger guard and the large pusher make this the safest mandoline on the market. Grooves on the slicing platform and holes in the slicing blade make moving the blade smooth and easy which means more safety from slipping food or fingers. The V-slicer also has rubberized feet for a stable, non-slip support. Give the gift of health this holiday season! 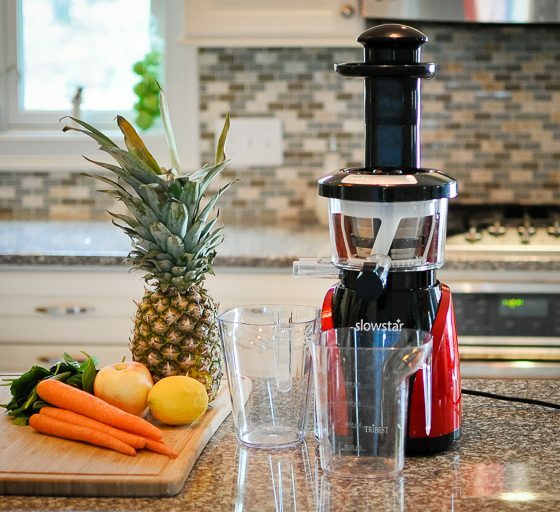 This juicer and v-slicer are the perfect way to get more fruits and vegetables into your diet, and we all know that more plant matter in our diet makes a huge, positive impact on our health. Ideal for the health-conscious, cooking-loving, DIY people on your list or for anyone struggling with health concerns, or looking to increase their overall wellness this year. 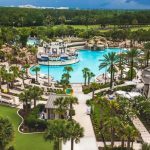 Vine Vera is a global skin care company established in 2012 and despite its recent start, it’s already recognized as one of the top skin care brands for men and women in the US. With a mission to deliver luxurious and pampering experiences with every skin care product they offer, men and women will look at their skin in an entirely different light. With the benefits of a transformative skin care experience, and with products specifically tailored to your skin type, your skin care regimen is about to change for good, instantly making you feel better about your skin. Vine Vera Vitamin C Collection is a skin care product line designed for daily use and especially for protection against the damage your skin faces every day. 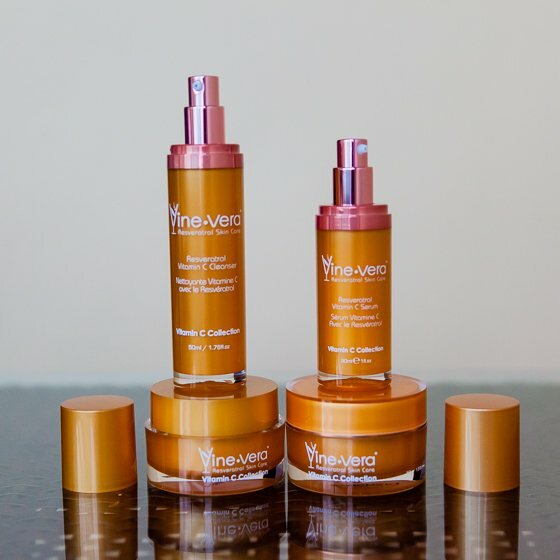 As with all Vine Vera products, the Vitamin C Collection also uses Resveratrol as a core ingredient, a powerful antioxidant found in the skin of red grapes, which also helps battle aging signs and leaves your skin clean of impurities. When Vitamin C is added as the base for this collection, you can rest assured that your skin gets the protection it needs while staying radiant throughout the whole day. Vine Vera Resveratrol Vitamin C Cleanser for radiant, smooth and refreshed skin. Vine Vera Resveratrol Vitamin C Day Cream for silky-smooth skin during the day. 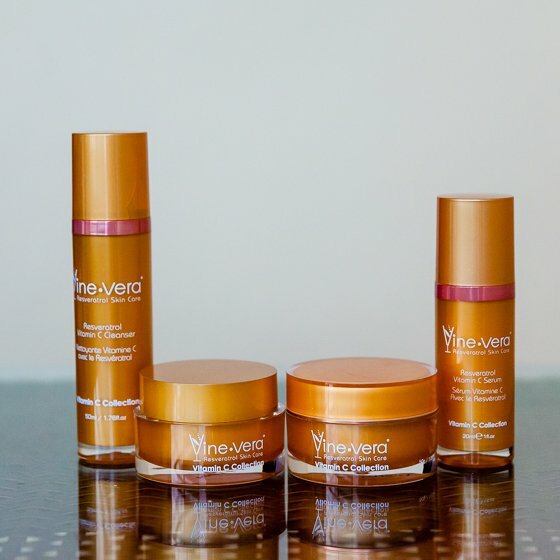 Vine Vera Resveratrol Vitamin C Peeling for gentle removal of make-up, dirt and oil. Vine Vera Vitamin C Serum for enhanced beautification and radiant skin. For the perfect skin care gift idea, the Vine Vera Vitamin C Collection can also be bought as a set. The Vine Vera Vitamin C Collection is the ideal gift idea for those in search of the right skin care solution. It is perfect for all those who want to reap the benefits of clean, radiant, smooth and young-looking skin, and for anyone looking to give their skin the luxury treatment it deserves. 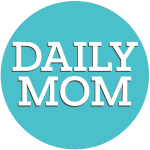 Babyhome is one of our most beloved companies here at Daily Mom. 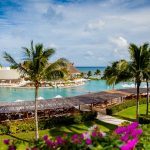 They are a team of creative individuals which includes parents who are both eager and enthusiastic about all that their company has to offer. Babyhome is made up of lovers of Bruce Springsteen, good sushi, a nice glass of red wine and always advocate for making time for a good book. 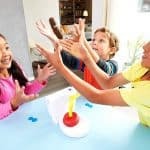 They create products that have a modern and fresh design as well as practical capabilities for the daily grind of parenthood. 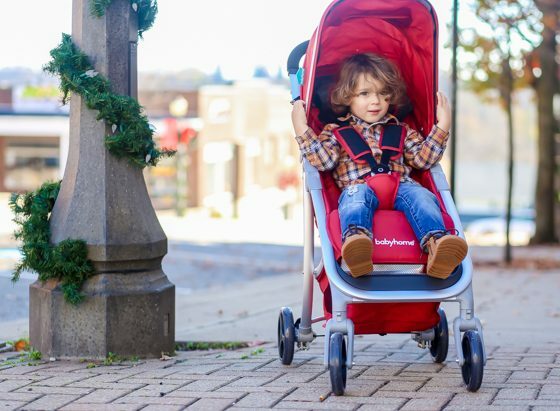 The Babyhome Emotion Stroller is so many wonderful things packed into one lightweight stroller. 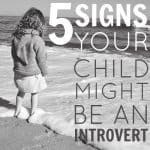 It is a MUST for families everywhere and will certainly stand out in a crowd. 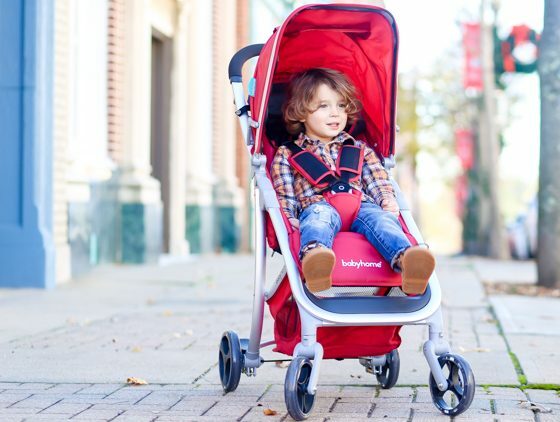 This stroller has an attractive design, and is available in vibrant and modern colors making it even more popular with today’s modern parents. The ease of maneuverability, the compact and easy fold and its lightweight design of only 13 pounds are just the beginning! Parents everywhere can rest assured that this stroller comes with ALL the bells and whistles. The seat back reclines up to 150 degrees making it suitable for babies 3 months old and useable all the way up to 55 pounds. You will find that each of the four wheels have shock absorbers. 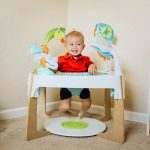 It also comes with removable and washable fabric, canopy window, large carry basket, large footrest, five point harness and is compatible with a collection of carseats. The Babyhome Emotion stroller makes a great “ultimate” gift for new and seasoned Moms. A stroller is one of those things that almost every parent with children under four years old has a use for. 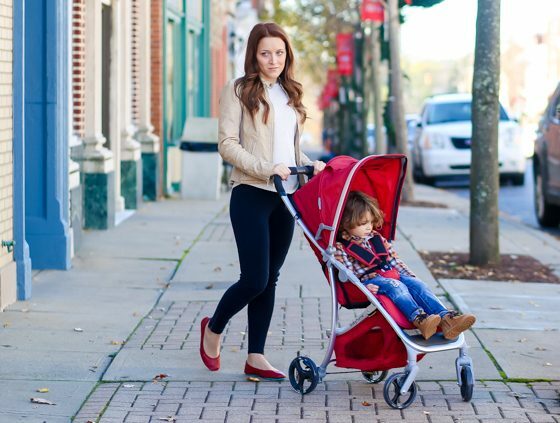 Nowadays strollers have become quite the accessory so with higher price tags the one she has been lusting after makes the perfect gift this holiday season. Kristin Larson is inspired daily by her younger, bohemian lifestyle of watching her mother make folk art on the beaches of Southern California. She learned how to appreciate hard work and dedication to a craft at a young age, and she went on to begin working in sculpting metals, ceramics and wax during her college years. As the years passed and her children got older, her spark for the love of jewelry making grew, and she (along with the help of her father) opened up her Etsy shop in 2011. 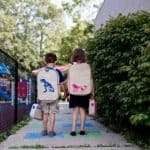 Her love for the outdoors inspires her work, from the rolling waves of the ocean to how a red-tailed fox scampers into the woods. She draws on every experience with Mother Nature, and incorporates it into her jewelry through design, embellishments, and sheer beauty. But just as nature holds a special place in her heart, so does her family. After the devastating loss of her father, she wanted to make her sister a jewelry piece to remember him by. When she located a letter where one of the lines read, “You will always have the love of your children,” she knew that the word “love” in her father’s handwriting would make the perfect gift etched on a ring for her sister. Her sister wears her ring every single day, and it has become a cherished heirloom in the family. Seeing the memories within the jewelry come to life has been a passion for Kristen Larson Jewelry since the spring of 2013, and all her handwriting pieces created are a delicate reminder of individualized love for the recipient. The Birth Month Flower Handwriting bracelet is an ID bracelet that has been embossed with a vintage inspired drawing of flowers that represents the month your loved one was born. The charm has a slight curve to follow the shape of your wrist, making it very comfortable to wear. It is suspended on a cable chain and secured with a lobster clasp. The Birth Month Flower Handwriting bracelet is simply stunning, and ideal for any age. 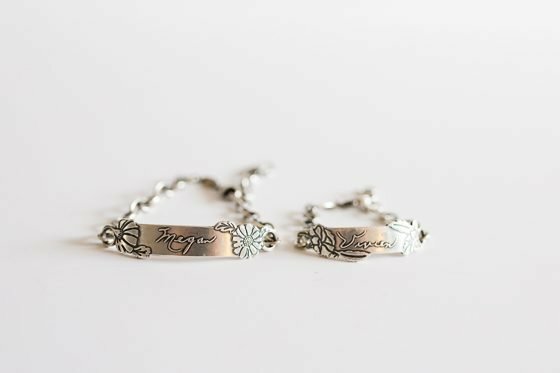 Imagine making a pair of these remembrance bracelets from an old anniversary card that your wife’s grandma sent before she passed away, and gifting a gorgeous ID bracelet in her handwriting to your wife and daughter as a memorial gift. 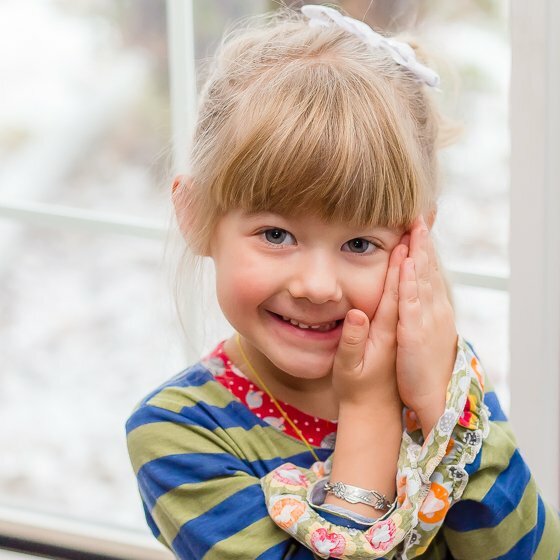 Not only will it look beautiful while being worn, it will carry a special memory that your wife will cherish, and your daughter will always be able to carry a memory of great-Grandma with her as she grows up knowing that she has a very special angel watching her from above. 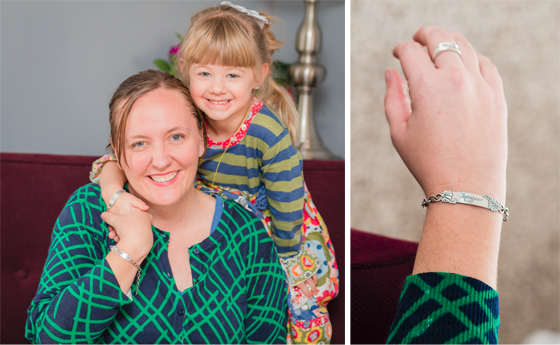 To make an individualized piece of jewelry out of handwriting, simply scan a photo of the handwriting/word you’d like to feature, and email it to Kristin personally. She will be in touch and offer amazing customer service along the way. Upon receiving your Birth Month Flower Handwriting bracelet you will find it beautifully packaged, along with a description of the birth flower included inside the lid of every box. It makes it personal, and even more special. The Birth Month Flower Handwriting bracelet is the perfect gift for the sentimental soul who cherishes memories, and sharing them along with her daughter. 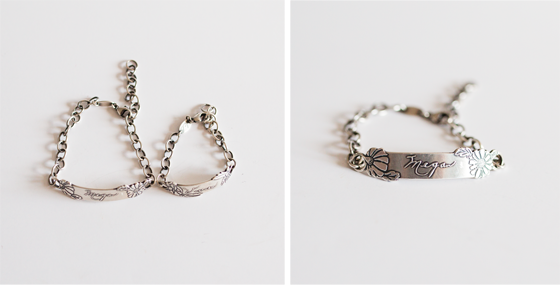 Having the matching ID bracelet in grandma’s handwriting (or Daddy’s, or anyone’s!) is the perfect way to mesh a beautiful jewelry gift with meaningful tenderness. Perhaps your wife had a family member pass away recently? Or she cherishes the letters that her grandfather sent to her grandmother while he was in WWII. 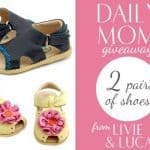 The possibilities and stories are endless, and she will love how it’s important and relevant to her- and cherish the set that she will share with her daughter as well. Over the last several years Beats by Dre has become a company name known by many. Recently in 2014 they were actually inquired by Apple Inc. 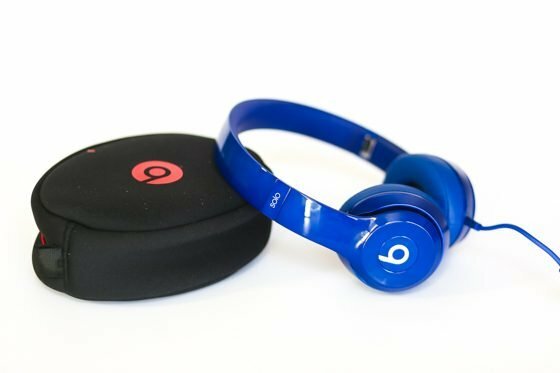 They are a leading audio brand in the market that was originally founded in 2006 by Dr. Dre and Jimmy Iovine. They offer a collection of world-class consumer headphones and earphones as well as speakers. 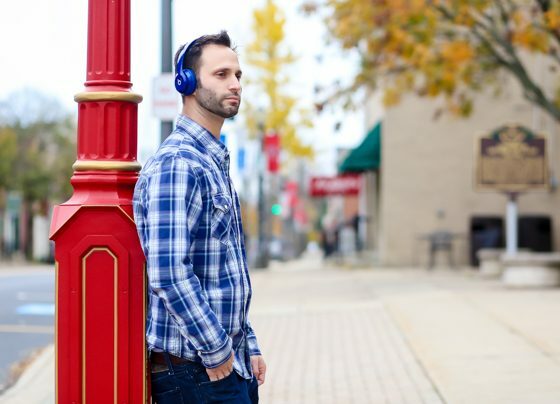 Premium sound entertainment has been completely elevated by Beats by Dre. 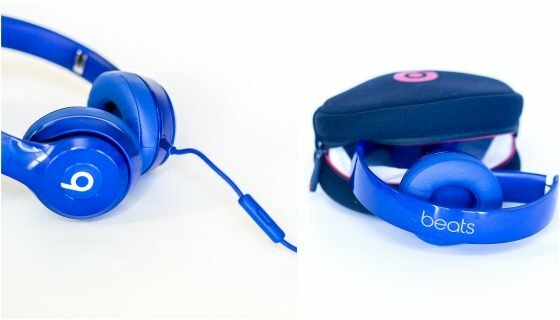 The solo2 on-ear headphones offer consumers everything they would expect from a pair of beats. From the fine tuned acoustics to the streamlined design and custom fit these are perfect for music lovers everywhere. These headphones really make listening to music an emotional experience by giving you a dynamic, wider range of sound and a fantastic level of clarity. Solo2’s were created to be the ultimate in comfort. They contain a flexible headband and a perfectly curved frame offering you a custom-fit feeling. The ear cups are ergonomically angled and the material helps to dissipate heat and minimize leakage of sound. Don’t worry! With these headphones there is no need to reach for your phone. It has a color matched RemoteTalk™ cable, that allows you to change songs, adjust the volume and even take calls – all without touching your phone. Also, these are foldable for convenient on the go storage and also have a refined glossy look. These are perfect for the person on your list who lives, eats and breathes music as the main part of their life. Most people know somebody who could never live a day without plugging in a pair of headphones. Solo2 beats are perfect for this person! They are also great for those whose busy days consist mainly of being on the phone. Using a comfortable pair of headphones will revolutionize the way they work. 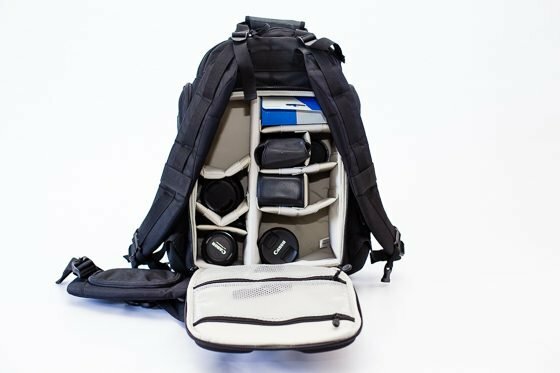 Tenba provides innovative carrying case solutions to passionate and professional photographers, and their full equipment arsenal. Tenba introduced the world to soft-sided, professional camera bags in 1977, and has been an innovative and quality leader in the decades since. With so many years of experience in bag development and construction, along with a unique level of closeness and (literally) daily connection to the professional imaging community, Tenba is truly dialed-in to both the real-world needs of its customers and the latest in design trends, materials and manufacturing. With its own, U.S.-based, dedicated “bag lab” product development center and manufacturing facilities, both domestic and abroad, Tenba’s resources and capabilities allow the company to create unique and exceptional carrying and transport solutions for serious shooters. The Roadie HDSLR/Video Backpack was designed from the ground up with video gear and DSLRs in mind. It will fit the latest DSLR systems from Canon (5D Mark III, EOS-1D X) and Nikon (D4, D800), and larger video cameras from RED (Epic, Scarlet), Canon (C100/C300/C500) and Sony FS700, along with a full assortment of accessories. As with the rest of the bags in the Roadie collection, the backpack is made with the finest materials available, and is built to withstand the rigors of heavy travel and continuous use, while protecting expensive camera gear in every conceivable kind of location. The Roadie Video Backpack provides highly-refined professional performance concealed beneath a subtle and distinctive exterior, and it is built to impress without drawing unwanted attention when traveling. Butterfly flaps on the top of the backpack allow quick access to audio gear and accessories like headphones, lav mics, recorders and anything else that you need to get to easily without opening the main camera compartment. The top compartment can also allow access to the main camera compartment, which allows larger equipment (bodies or lenses) to be removed without exposing the main camera compartment to strangers nearby. Contoured shoulder harness and hip belt provide comfort and support when carrying large camera systems, and high-density foam padding won’t compress or break down over time or with heavy use. Hip belt is easily removable when not needed. The access to the main camera compartment is located on the harness side, which provides safety and security when working in unfamiliar or crowded locations. Equipment cannot be surreptitiously removed from the front side while the bag is being carried. 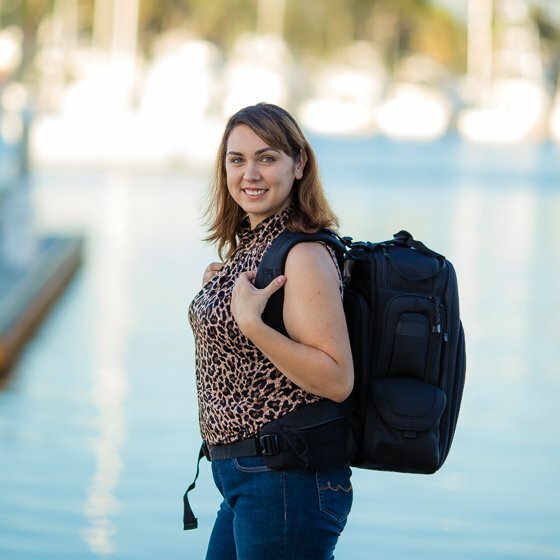 Backpack fits virtually any size tripod for convenient carrying, and the tripod carrying foot and straps stow away when not in use. The bag is built with the finest materials and hardware, including a weather-proof coated 1680D ballistic nylon exterior, a ripstop nylon interior, YKK® zippers, Duraflex® clips and heavily-reinforced stitching. Includes Tenba’s exclusive WeatherWrap removable rain cover, plus a 10-pocket media wallet that fits both CF and SD cards. Pockets to organize small accessories like cables, hard drives, filters, etc. Heavy-duty, Hypalon® loops on the sides of the bag provide mounting points for accessory pouches, carabiners, keys etc. The zipper sliders on every exterior compartment can be secured with a TSA-approved or similar luggage lock. 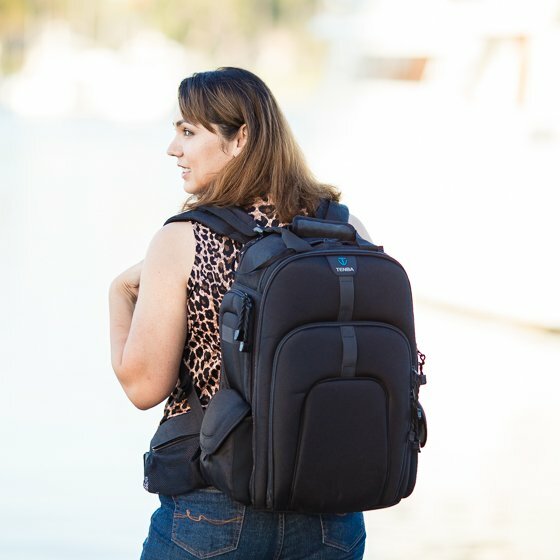 The Tenba Roadie HDSLR/Video Backpack is perfect for any photographer, from professional to hobbyist that desires a high-quality, professional way to transport all their gear either to photo shoots, or cross country on vacation with their family.